Our shoulders are made up of multiple joints, tendons, and muscles that are responsible for our range of motion. Everything we do with our arms and hands, from scratching our backs to throwing a ball, is made possible by our shoulders. So when left or right shoulder pain happens, it can be crippling. Don’t let shoulder pain get in the way of your everyday activities. 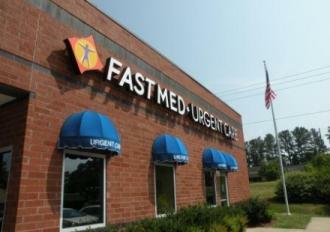 If you are experiencing sharp or persistent pain in your left or right shoulder, visit FastMed Urgent Care. We strive to provide our patients with prompt and compassionate care whenever illness or injury strikes. Though less common, left or right shoulder pain can also be caused by infection, tumors, or nerve-related issues. Treatment for shoulder pain varies depending on the cause, but it can include activity changes, medications, or even surgery. If you are experiencing sharp shoulder pain, or dull pain that lasts for more than a few days, visit a FastMed Urgent Care near you. A FastMed physician will likely ask you about your medical history, conduct a physical examination, and may even order an x-ray, which can be done on-site at any FastMed location. Our walk-in clinics are open 365 days a year, making it easy for you to receive quick treatment for your pain. If you have shoulder pain that is accompanied by difficult breathing or tightness in the chest, it could be a symptom of a heart attack, and you should call 911 immediately.